Many hotels offer free taxi services from the airport when you arrive. Check with them before your arrival and they will meet you with your name written on a piece of paper. Just get into the car and enjoy the ride (takes about 45-60 minutes into town, depending on whether the traffic is heavy, very heavy or extremely heavy. 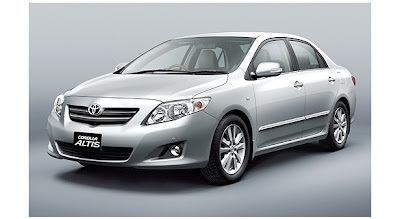 Even if they don't offer you a free pickup, they are often very competatively priced. Allowing them to arrange it for US$15-20 is money well spent. 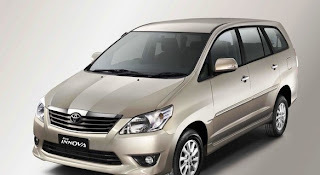 When exiting Noi Bai International Airport, visitors will see lines to queue for taxis, with numerous signs giving the fixed price: VND 350,000 ($16) for a sedan (toll charges are included in the price) and VND 380,000 for a MPV (7 seater, Toyota Innova). There are a few companies operating this route below: Visitors will pay directly to the driver when arriving at hotel. No toll fee or any other charge. The taxi usually has the meter running, but you should pay the fixed fee. Note: it is a good habit to write down the number plate of the taxi in case the driver want to cheat you. Airport Minibus one way trip costs VND40,000 ($2). Minibuses leave the airport when they are full. 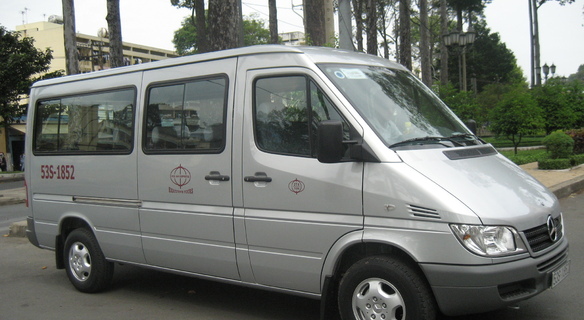 You can also hire a whole minibus for VND500,000. They will manage to squeeze you and your luggage in somehow, but prepare to be squashed. Bus #7 (Cost VND6,000) connects the airport and Cau Giay bus station (in the West of the city). Bus #17 (Cost VND5,000) will get you to the Long Bien bus station (near the Old Quarter). It can be crowded and you will need to transfer from bus station to your hotel. They may not let you on if you have lots of luggage. Customers can book an airport pick up service or transfer service in Vietnam online and get warmly welcome service at airport then transfer to your hotel in the city or other places on the request. Vietnam tours including: Sapa tours, halong tours, mai chau tours, ninh binh tours, hue tours, hoi an tours, nha trang tours, hcm tours, mekong delta tours, and other tours extension to Laos and Cambodia. We charge 30 USD/ per person for Fast Track Service. However, we provide the service free of charge to children who share the same passport/travel document with the parent. Remark: The fast-track process lasts not over 15 minutes. It is based on normal case that passengers are not involved with health control or Visa on arrival. How can I order this service? Please send us an email to info@gettingvietnamvisa.com mentioning your personal details including full name, nationality, passport number, date of birth, flight number and arrival/departure date and time. All these information need to be provided at least 48 working hours in advance of VIP arrival/departure. Otherwise, we cannot guarantee you are picked up at the airport. Enjoy your trip with our transfers. We will pick you up and take you safely, conveniently to your hotel in Hanoi. With slogan "simply your best local friend", we can accommodate your needs. Our vehicles are always kept clean and ready in any time. In addition, our drivers are professional enough to take care of you on the way to your hotels and our staff will always be available to provide any information you need. We are proud that as a tour operator we still can provide the best transportation services like many other transportation providers. Furthermore, we support our online clients an overview of land before they arrive in Vietnam.